Several months ago (actually it's been a year, yikes) I mentioned a project I was working on that I would soon share . . . that day has finally arrived! I've been creating a line of digital illustrations (these take FOREVER to do) of the places we hike near Portland. One of our favorite destinations is the gorgeous lakes of Indian Heaven Wilderness, near Mt. Adams in southwest Washington. This one is Junction Lake, so named because it's at the intersection of several trails, one of which is the Pacific Coast Trail, made famous by the movie Wild. Below are four more selections from other favorite hikes, top to bottom: Silver Star Mountain (fantastic wildflower display, three mountains in the background), Conboy Lake Wildlife Refuge (nice winter hike), Dead Man's Cove (on the Pacific Ocean at the mouth of the Columbia River), and, of course, Mt. Hood. If you really love these and want one to display in your home or office, they're all available for purchase by clicking here: https://society6.com/christinerains. You can also get all sorts of other products on the Society6 site: pillows, notecards, travel mugs, pouches, even a shower curtain (I kid you not). So do you have a favorite? Let me know! I'm curious as to which is the most popular although I have a hunch it's the birch trees at Conboy. Put your bare foot down on the ground and you'll connect with the earth's electricity. Any type of ground works: grass, sand, gravel or concrete. Or swim in a lake (my personal favorite; see below). Or lean against a tree. It's called grounding. Idea being that we humans have lost our connection to the earth's electric charges since we wear shoes (with good reason) and thus our ability to access the negative charge generated by the earth. These negative ions can act as antioxidants which neutralize free radicals. Research shows that barefoot contact with the earth can actually produce changes in physiological measure, help improve sleep, reduce pain, decrease muscle tension and lower stress. This article verified my belief that one of the best things you can do to promote well being is to step (or swim!) in nature. This drives me nuts. The chair HAS to line up with the artwork above. I'm continually attracted by patterns, shapes and form. I guess everybody is but designers probably pick up on it more than others. Patterns that are "off" really annoy me. Say, for example, when the chair isn't aligned directly below the painting it sits below, it drives me nuts. This happens sometimes when hubby vacuums. Yes I know it's wonderful that he vacuums (although I do wish he'd vacuum the stairs). But I can always tell when he's "put things back." I gotta make it right. So it is in designing; things need to align. And I don't mean I'm a slave to getting things centered; on the contrary, I much prefer left justified layout. Type is much easier to read if it's left justified rather than centered. Also type is much easier to read if it's in short lines rather than stretching all the way across the page. Your eye just can't keep track of all the words if it's strung out in a long line. But a layout does need to have some sense of alignment and organization so it reads properly. Without an overarching order, the report (or whatever) will be much harder to read. If you're trying to make it easy for your clients and customers to read about your successes (or new program or what not) you need to get your words and images aligned! Sample page layouts next time. And what might your goal be for the new year? I admit I have multiple goals. I'm a good goal maker. Not such a good goal achiever. This year I intend to actually achieve some of my goals. I say that every year. I say that every year also. 1 - I spent one solid day at a "Goal Setting Retreat with Dr Sarah Stebbins which gave me time to focus on myself, without any distractions, and had me ask myself the hard questions. Like what's holding me back from achieving that goal? Ooh, ouch. The answer can be scary. And enlightening. 2 - I attended a lunchtime talk by @DanaCoreyMRE full of tidbits and tools to use to apply to your business ... or your goal. 3 - I also spent an hour talking with one of my CreativesRoundtable partners @lsvdesign who, also, had some great ideas that I can borrow. These were focused more on social media but any type of tip that helps me work smarter is a win in the first column (or second, depending on how you set up your goals). But seriously, I've already made some progress toward one. For the past two years my goal has been to get some of my illustration work onto a platform that will allow it to be bought. I'm calling it: "Monetize my Art." A catchy little phrase. You'll never see this one on Wheel of Fortune. Then again, maybe you will; they have some really odd "phrases" .... but I digress (and also I admit what we do in the evening). But on Sundays we hike. Practically every Sunday we head out to some of the great trails in the Pacific Northwest. And so of course I have tons of beautiful photos. I've started drawing them, digitally with vector art. I think they're quite lovely. They take forever and thus I've only actually completed one. But I have two more nearing completion. AND I have set up an account at ArtPal, a website that lets you show your art and then if people want to purchase it they can do it through the site. They'll print-on-demand for you and mail it also. So I actually have one of my drawings up there now. I love autumn. I love the colors. I love the falling leaves. I love the darker days. I love the wind. I love the crisp air. I especially love seeing the bird's nests high in the bare branches of the trees. But maybe the best part of autumn is the promise of holiday celebrations with friends and family . . . and clients! Don't forget your clients! 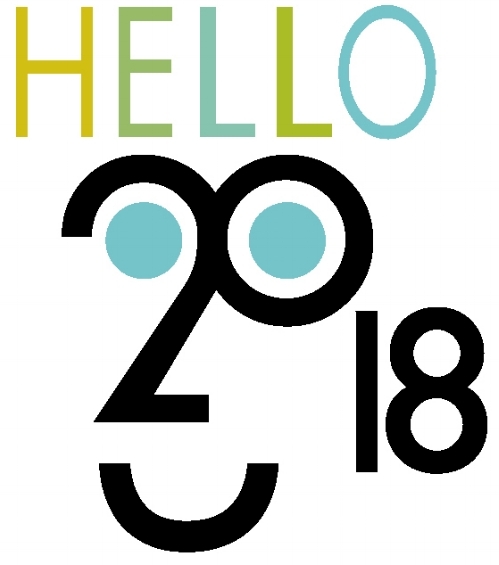 If you'd like to recognize your clients this year with something special like a calendar they'll have all year, or a unique greeting card that represents your business in a very cool way, give me a call. I've got some great ideas. Yep, that's me hanging off the side of the building. In downtown Portland. Twenty four floors above the street. Straight down. To the street. A busy street. And I'm scared of heights. It was a fundraiser for Girls Inc of the Pacific Northwest, called Rappel for Her. By enlisting a bunch of bold (foolhardy?) participants to rappel down the side of a high building they created a headline-grabbing event. The motto of Girls Inc is to inspire girls to be strong, smart and bold, hence the tie-in to the (in theory) boldness of the rappellers. Any organization that helps girls learn to navigate gender, economic and social barriers and thus grow up healthy, educated and independent is alright by me. So I signed up. And emailed lots of friends and clients asking for donations (if you donated to my page THANK YOU AGAIN!) and raised over $1,600 for Girls Inc. And "got" to rappel. Below is Angela, the woman from Over the Edge (they organized and led the event), saying "Breathe!" I was saying "How many more floors?" And: "Whose idea was this?" So that's what I did on my summer vacation. I'm back on solid ground now and feeling bold and smart and ready to help you with whatever graphic design project you have. Let's start at the ground level and work our way up to a beautiful design solution. Now that the weather is better (finally! ), there's a little birdie who sings outside my window each morning. He chirps and twitters in the sweetest way and never fails to make me smile. I'm not sure it's always the same bird, or if he is in fact a he, I just know s/he sits in the same branch on top of the holly tree outside my office and sings away. Such a simple expression of joy! Would that I could sing like a bird. Sadly, it's a skill which my family gene pool sorely lacks. But we did get the creative gene (my sister is a published author) and this year, as part of my 30th-year-in-business celebration, I'm singing a new tune with a new creative project that lets me sing my way – through design. I'm part of an accountability group of independent creatives who meet monthly for mutual motivation and encouragement. We've each identified a "Dare to Dream" goal. Because I love digital illustration, my Dream project is all about creating a body of original illustrations that combine my love of hiking with my love of shape, form and color. When I find the time to work on it (client work comes first, of course, thank you clients!) I feel like I'm singing my own song. So how about you, do you have a dream goal? Have you been thinking about some new project for your business? Has your business been singing the same old tired tune for too long and you're ready for a beautiful new look? Maybe it's time to sing your praises with a fabulous annual report? I'm sure you'll need some specialized design attention to make sure you hit the right note. If you've got a song in your heart just waiting to be set free, let's talk! I've got some great ideas. You'll be whistling a happy tune in no time. And that's the end of the singing idioms. And along with the ahhhh of summer comes the smells of summer. So many wonderful memory-invoking smells. Whilst walking through Grant Park the other day I got a whiff of chlorine from the swimming pool and instantly was taken back to childhood swimming days. Then I heard the joyful sound of kids splashing in the water. Ahhh, the sounds and smells of summer indeed. Especially sweet since the pool (a huge resource in the community and where our kids learned to swim) has been closed until last week for renovation. What a joy to have it open! Is there any better way to celebrate summer than with a swim? Yes it's a chlorinated pool with lots of little kids swimming in it ... potential for eeuuwww .... but it's still wonderful. And that smell of chlorine always takes me back. Aha! A chance to showcase a logo I designed for a summer family reunion! Maybe the most memory-evoking smell of all is that of wood burning. Last night we were at a friend's house and they had a fire burning in their pit. MMMMM .... so evocative. Summer camp? Campfire stories? Smores!!! My hair still smells like wood burning, such a good summer smell. How about evergreen needles crunched underfoot? Earlier last week we were hiking up in Badger Creek Wilderness on Mt Hood, in search of the elusive Boulder Lake which we once hiked to about 24 years ago and have been trying to find ever since. Anyway, the smell of the fir needles on that hot hot day was divine. And no, we didn't find that darn lake. What's your favorite summer smell? Let's add the sweet smell of success! Seeking success and in need of some marketing materials? Call me! Some of my long-term clients are public water agencies. I've done LOTS of illustrations of water smart measures. I thought I'd show a few for this blog. I love sprinklers. I used to get a new one for every birthday when I was a little girl. 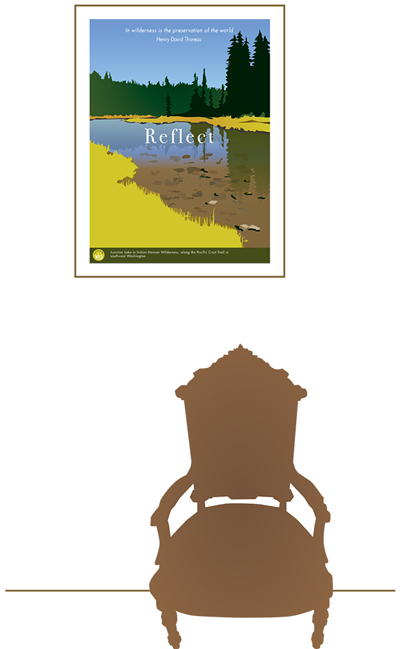 This is an illustration I did for a water brochure for the City of Portland, some years back. Time for a refreshing drink on the patio maybe? Check out this illustration I did for the Clackamas River Water Providers' 2017 Children's Calendar. Yes, the calendar is all printed! This illustrates the type of water flow to look for when you buy an outdoor fountain. Get one that uses big drops rather than a fine mist; the mist will evaporate and waste water. This one shows that it's important to water early in the morning ... note newspaper still on the front porch! The source of Portland's water . . . the famous Bull Run Reservoir, high in the foothills of Mt Hood. Check it out! 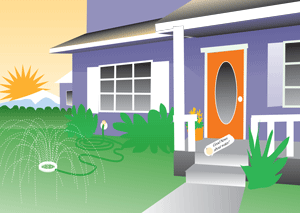 Very cool infographic about watering your backyard.